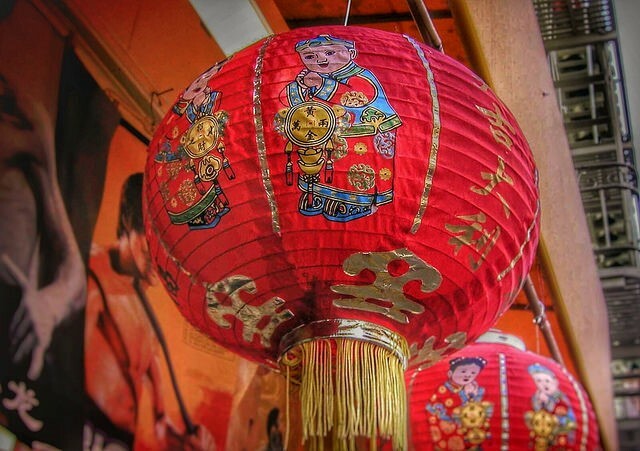 Looking for Ways to Celebrate Sydney Chinese New Year Festival 2019? Why not Try Something Different this Year? Since the first Chinese migrants sailed into Sydney Cove in the early 1800s, they have been a strong presence in the cultural fabric of the city. They’ve come a long way from the early days of the colony, where they kept us supplied in fresh produce and the occasional opium den. What better way to celebrate their contribution than to join in the Sydney Chinese New Year Festival 2019? You’re probably already familiar with the events that happen around Circular Quay and Chinatown, but why not try something different this year? With the ‘Year of the Pig’ being synonymous with fun, good fortune and wealth, there’s plenty to celebrate. As home to one of Sydney’s largest Chinese communities, Chatswood always puts on a huge party. Sydney lunar festival 2019 promises to be bigger than ever with three whole weeks of festivities including parades, street markets and art exhibitions. Starting on the 29th January, Chatswood mall will be inundated by pigs, including a giant inflatable one at the entrance of the mall, and a pig mascot happy to engage in chasing games around the many stalls and lanterns. There’ll be food aplenty in the mall but the serious foodies would be better off sampling one of the local food tours, which include a range of Asian cuisine including Korean, Japanese and Thai. Kids will enjoy the range of pig-themed movies at the concourse in both Chinese and English. The season concludes with a colourful street parade all the way down the Chatswood Interchange on the 16th February. Forest Road will be the main stage for this year’s events on Saturday 2nd February. Just keep a lookout for lion dancers and pig floats coming towards you, and you’ll know you’re in the right place. Once the parade is over, the street will magically transform into an Asian food lover’s delight with a hawker-style food market serving all your traditional noodle, dumpling, and hot pot faves. After some culture with your Asian food fix? To commemorate Sydney Chinese New Year Festival 2019, the Art Gallery of NSW will present a special after-hours event on the 6th February. As well as the usual lion dancing, live music and workshops, you’ll experience Heaven and Earth, a new exhibition of Chinese art from the National Palace Museum in Taipei. Chinese Australian singer Sophie Koh will also perform her unique brand of east meets west pop. This free event will take place between 5 and 10 pm on Wednesday 6th February. This year’s calendar is crammed with fun food events that will see you eating your way through February. Your first course should be the walking tour of Chinatown, which will be concluded with a Yum Cha lunch at Emperor’s Garden on the 2nd February, and follow this up with a generous serving of dumplings at the Sydney Tower Eye’s pop-up dumpling restaurant between the 1st and the 10th. Fridays, Saturdays and Sundays will see the usual Rocks markets come alive with red lanterns and fragrant Asian dishes prepared by artisanal chefs. The Sydney Fishmarket will put on its own show on the 8th February, turning raw fish into a variety of Asian delights amidst a backdrop of music and dancing. These are just some of the many events that will take place over February. Check the City of Sydney or local council websites for more information, and we wish you a prosperous new year. Oink!